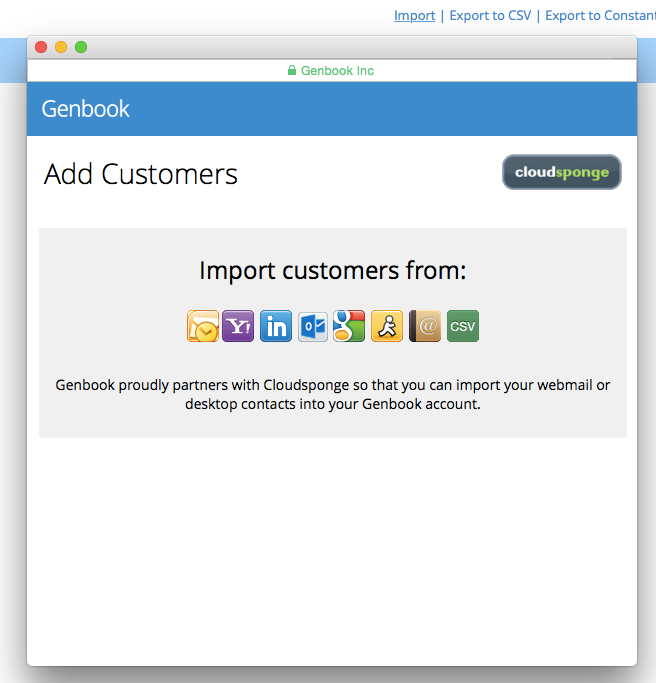 The Customer List (found in your Customers tab) is one of the most important features Genbook offers. It automatically saves the contact details of anyone who makes an appointment with your business. It also tracks the appointment history of your customers, listing all appointments they’ve ever scheduled with your business (even ones that were cancelled). Let’s have a brief look at the various tabs and sections within each customer’s listing (what we sometimes call a “customer record” or "customer file"). The Summary section contains the customer’s basic contact information, along with a list of recent appointments and notes you’ve made on the customer, and any Offers the customer has recently purchased. It’s also the tab from which you can manually prompt a review request, as well as delete a customer from your list. You can edit contact information, add a secondary email address and even store the customer’s date of birth in the Details tab. 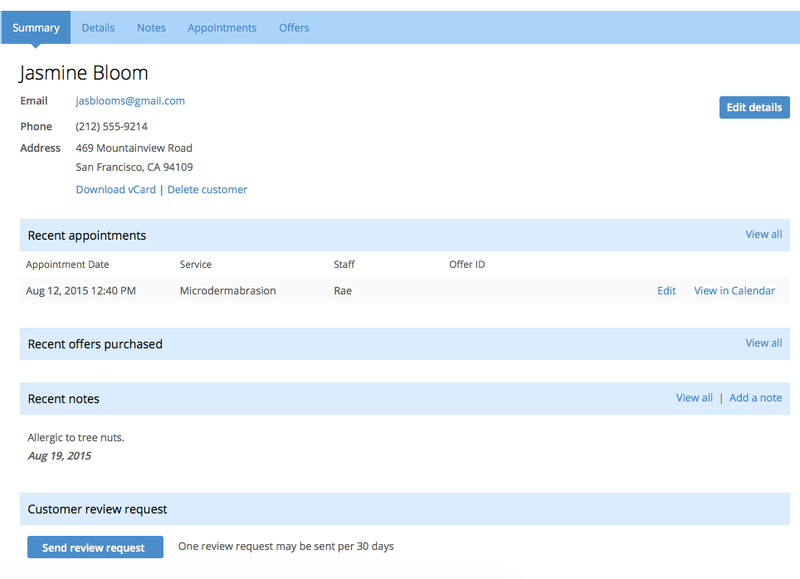 At the bottom of the Details page, you can also block a customer from scheduling online appointments with your business, or require credit card details from that particular customer at the time of booking. The Notes tab is where you can create and save general notes on the customer. The notes will be listed in reverse chronological order, with the most recent ones appearing at the top of the list. 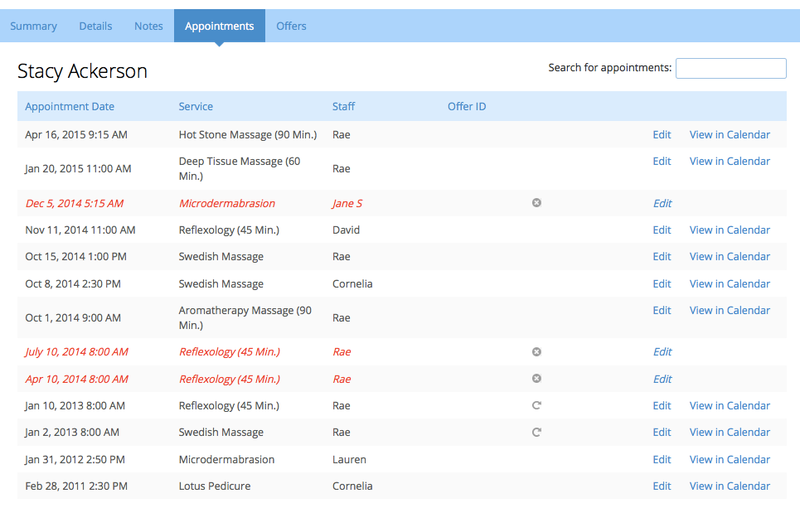 The Appointments tab will display all the appointments the customer has ever had with your business, both online and offline. Cancelled appointments are included here, and denoted in red italics, just like in the Inbox. Your entire customer list (including names, emails, phone numbers and physical addresses) can be downloaded/exported to your computer. 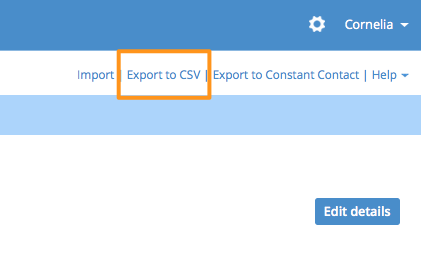 Just click “Export to CSV” at the top right of the Customers page. 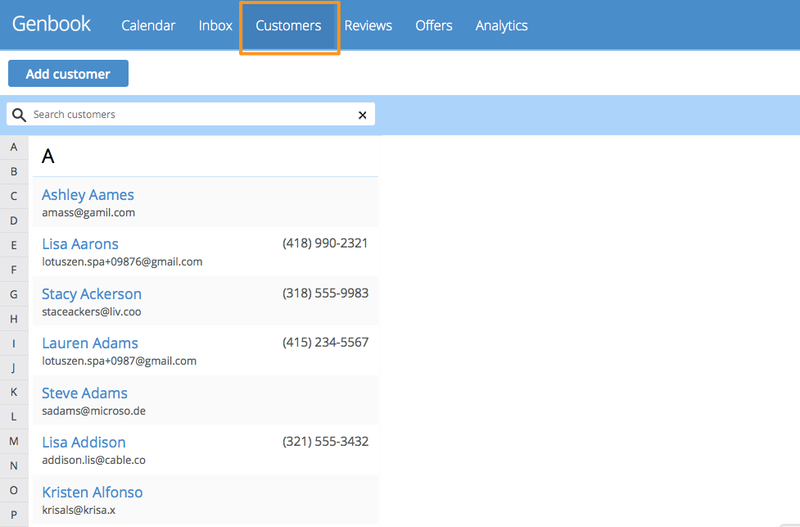 You can export a single customer file/record by clicking the “vcard” icon at the top right of the his/her Summary tab. The resulting file will be in .csv format, which is compatible with and readable by Excel and other spreadsheet programs. It’s also the ideal format for importing contact lists into email accounts and email marketing tools. If you’re using Safari on a Mac, check out these instructions. All customers who have appointments with your business will automatically be added to the Customers tab, as long as there’s at least an email or phone number on the appointment. 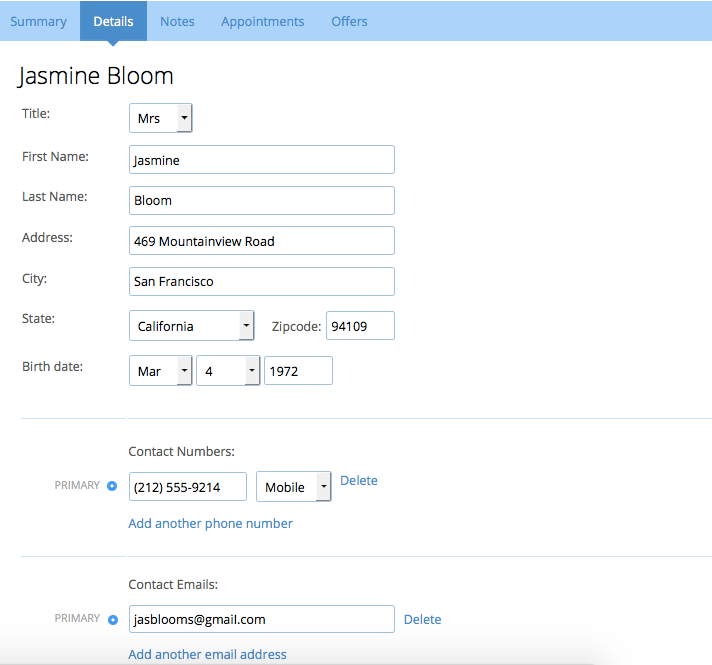 But, you can also manually add customers who haven’t yet made appointments with your business, in one of two ways. The first option, for adding individual customers, is the Add customer button found at the top left of the page. 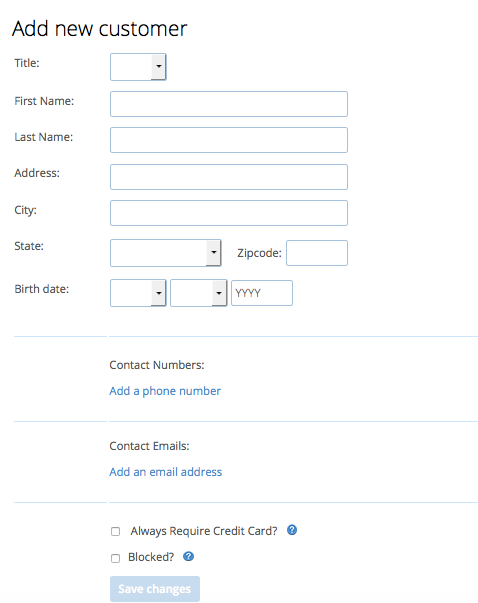 Clicking Add customer brings up a new, blank Customer Details screen that you can fill in with the person’s contact and other information. 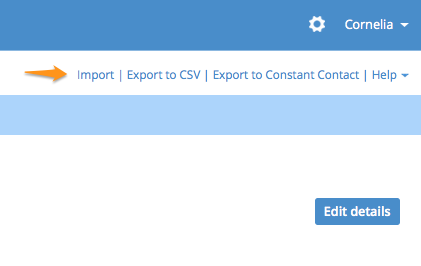 The second way to add customers is to import a whole contact list, via the Import link at the top right of the page. That will bring up our Cloudsponge-powered import tool, which you can use to upload customers from a number of web-based email accounts or from your own computer.